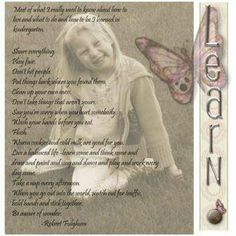 4/10/2015 · This video is about Robert Fulghum's book "All I Need To Know I Learned in Kindergarten". He found very simple words but you can easily transfer them to your own life. That's why it is timeless. 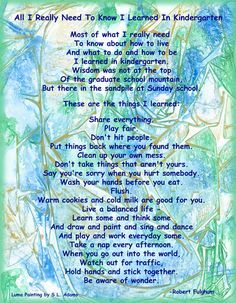 -fun -happy -innocence Theme Background Information Stanzas Most of the poem was symbolism... so here's just one example that we found: line 19-22 "Live a balanced life-, learn some and think some, and draw and paint and sing and dance and play and work every day some." 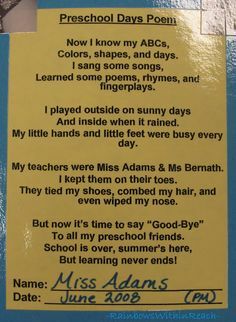 1/3/2019 · Similar to all i needed to learn i learned in kindergarten poem, Gaining knowledge of is a really Everyday life extensive process delivered we’ve been all set to master. We could be impressive learners if we all know how we get motivated about understanding. 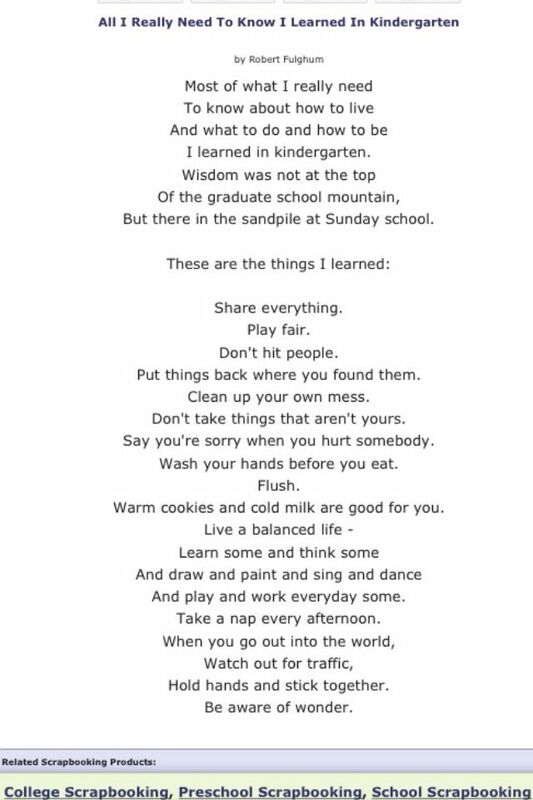 from “All I Really Need To Know I Learned In Kindergarten ” by Robert Fulghum Most of what I really need to know about how to live, and what to do, and how to be, I learned in kindergarten. Wisdom was not at the top the graduate school mountain, but there in the sand box at nursery school. 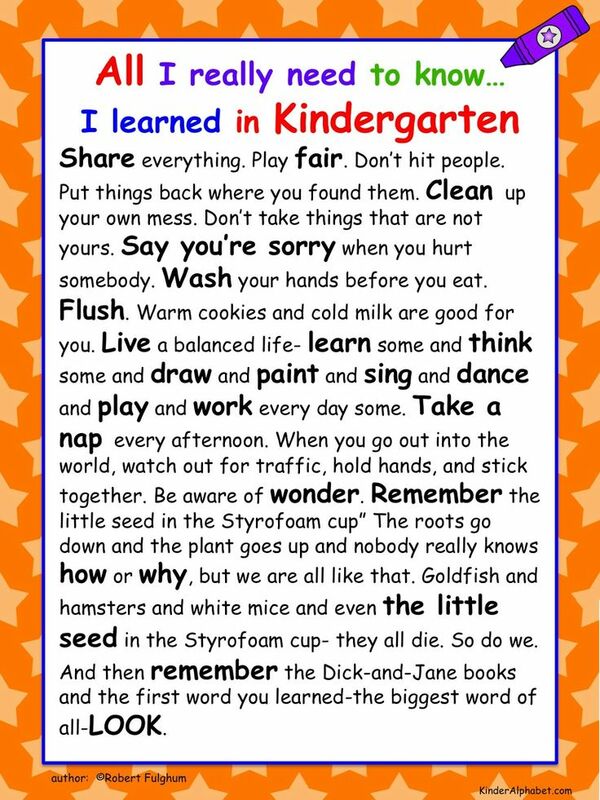 We Learned It All In Kindergarten Listed in: Inspirational Stories. 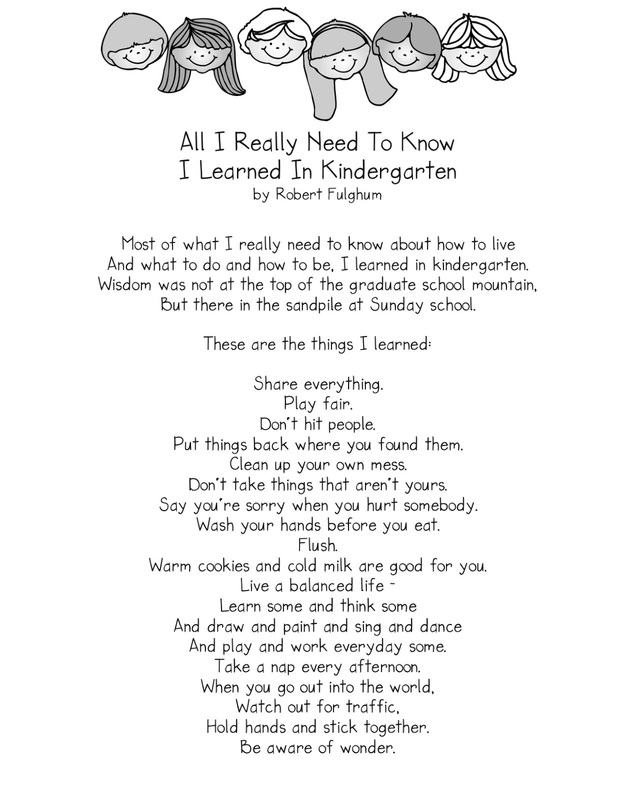 Most of what I really need to know about how to live, and what to do, and how to be, I learned in kindergarten. Wisdom was not at the top of the graduate-school mountain, but there in the sandbox. 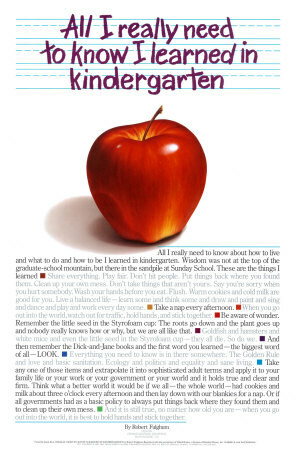 All I ever needed to know, I learned in Kindergarten by Robert Fulghum Most of what I really need to know about how to live, and what to do, and how to be, I learned in kindergarten. Wisdom was not at the top of the graduate school mountain, but there in the sand box at nursery school. These are the things I learned. Share everything. Play fair. 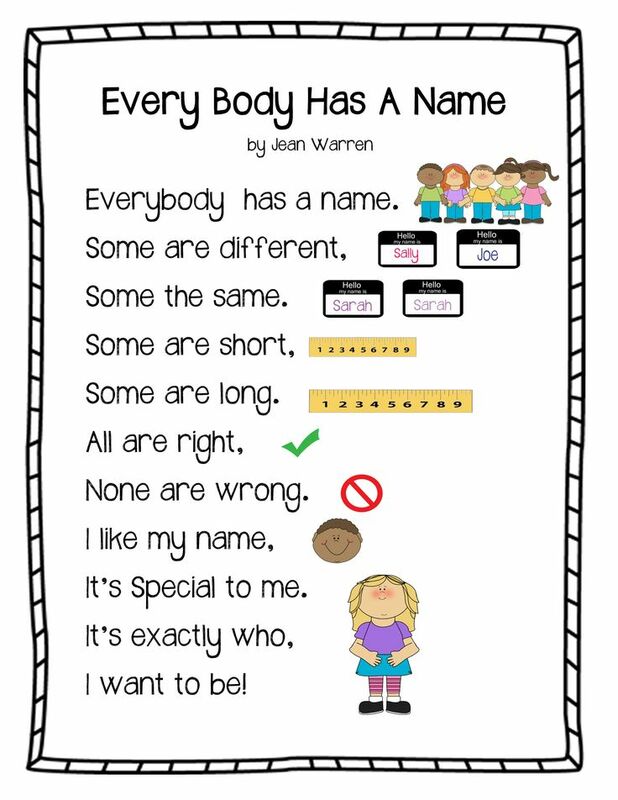 All I Really Need to Know I Learned in Kindergarten- Robert Fulghum, For me this happened in first grade. 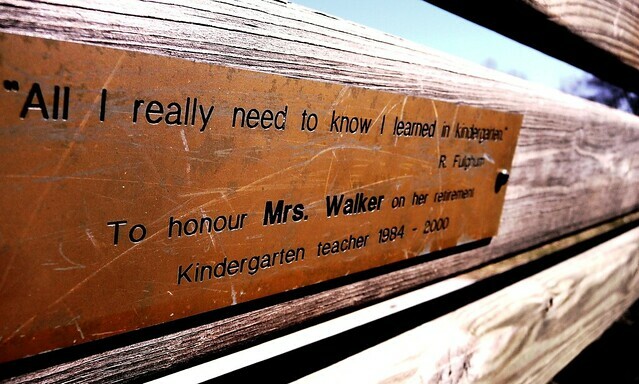 I had a teacher who was as tough as nails, and I thank GOD for her every day. I learned more, fundamentally, that one year than in any other singular year of schooling. 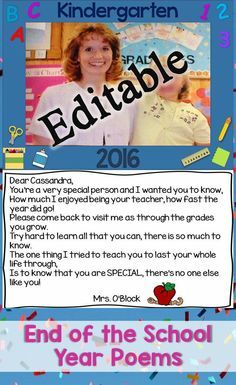 She ignited in me a passion for learning that has never fizzled. Robert continues to write weekly. 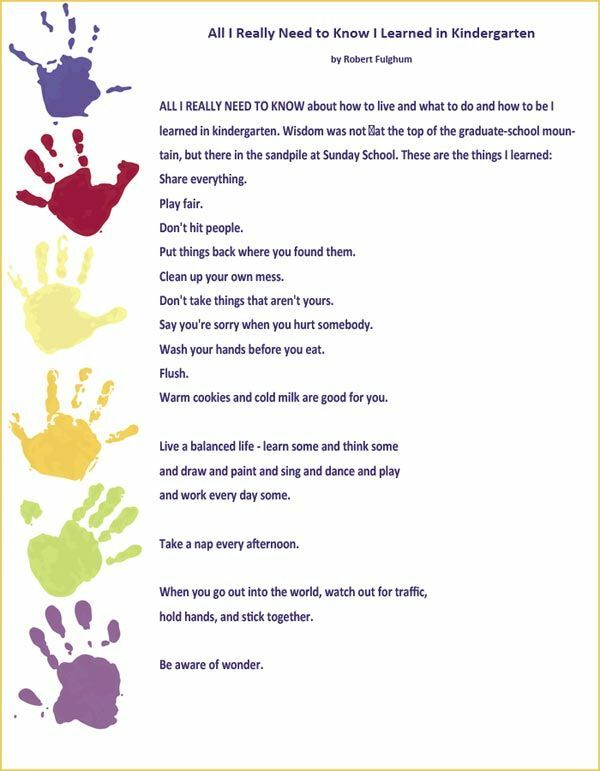 'all i really need to know i learned in kindergarten' in photos - the - Here's a new take on the old Robert Fulghum poem, "All I Really Need To Know I Learned in Kindergarten," for all the graduates and their all i really need to know i learned in kindergarten - All I Really Need to Know I Learned in Kindergarten. 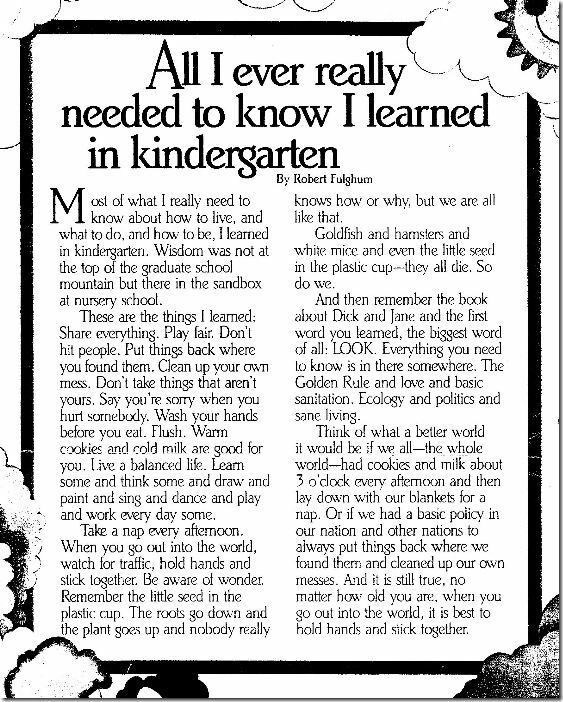 All I need to know I learned in kindergarten “All I need to know I learned in kindergarten” is a poem by Robert Fulghum. 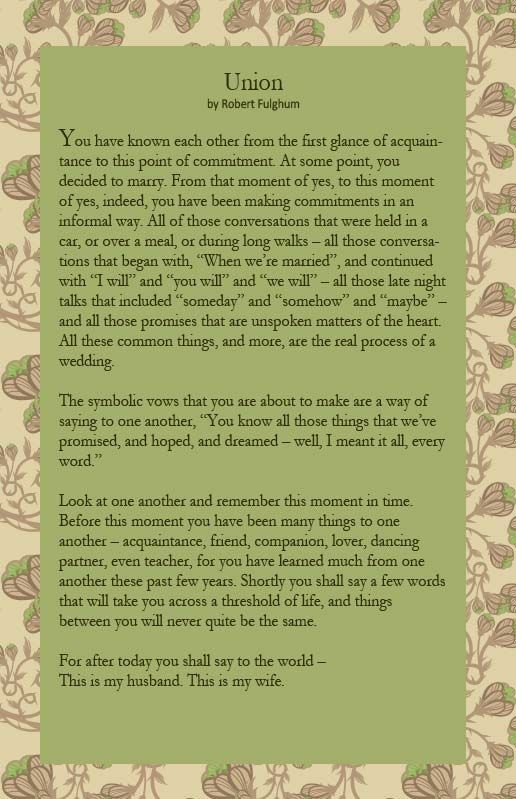 Last week I experienced that poem in real life. I was a substitute teacher in a kindergarten classroom. I was a sub for this same teacher, Mrs. B., last year and it was a great day. I didn’t mind going back.